Prime Minister and Minister of People Empowerment, Dr the Hon Timothy Harris, has said that the Skills Training Empowerment Programme (STEP) is uplifting the lives of young people, and has the potential to transform St. Kitts and Nevis. 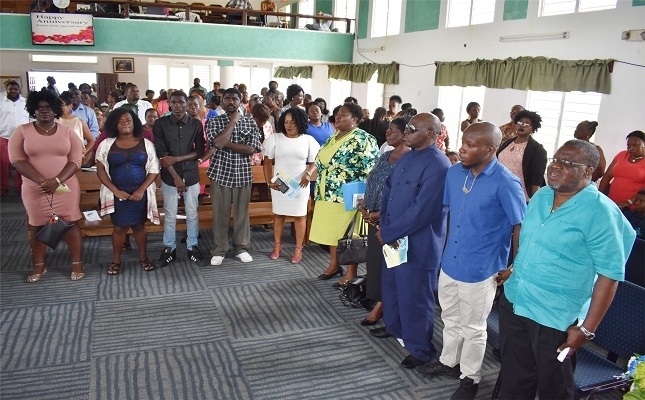 He has asked persons on the programme to take their work seriously.Prime Minister Harris made the remarks on Sunday February 10 at the Mount Carmel Baptist Church in Bourryeau. Prime Minister Harris, who is the Minister with direct responsibility for the STEP, said it was in keeping with a manifesto promise the Team Unity Administration determined that it would revisit and revamp what was then called the People Employment Programme (PEP), to provide a new model of what government.